Connect the receiver of a corded phone to the base by using the CE-TECH 25 ft. Black Coil Cord. This coil cord features modular plugs on each end for easy connections. Dual Phone/Coaxial Wall Plate Connect the receiver of a corded phone to the base by using the CE-TECH 25 ft. Black Coil Cord. This coil cord features modular plugs on each end for easy connections. 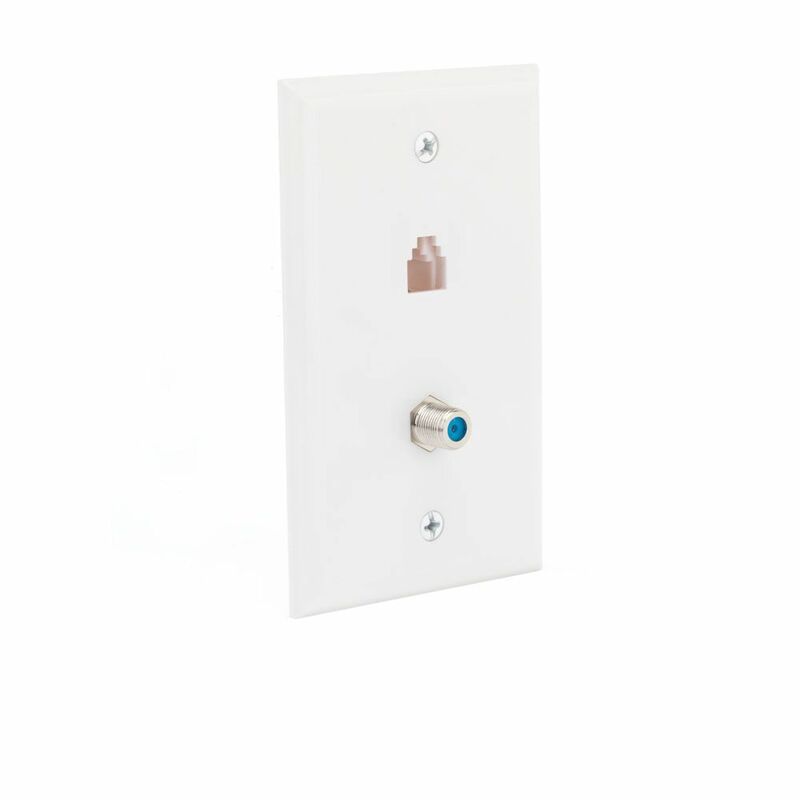 Dual Phone/Coaxial Wall Plate is rated 5.0 out of 5 by 1. Rated 5 out of 5 by Jim from Easy installation. ... Easy installation.